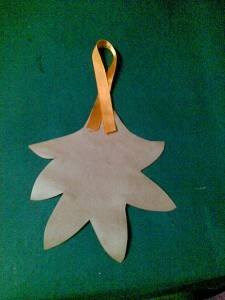 Here is a beautiful fall leaf decoration that you can hang on your wall or your door to celebrate Thanksgiving. 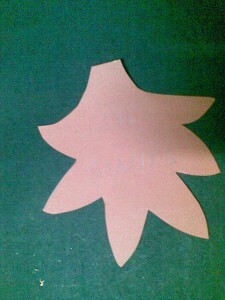 Its very simple and easy to make. 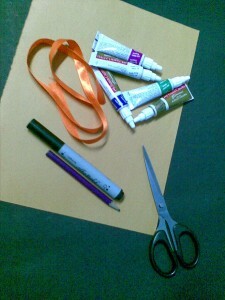 All you need is some paper, ribbon, scissors and glitter glue. 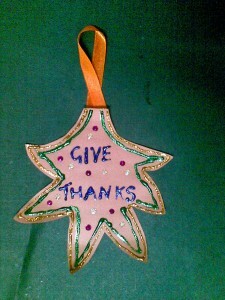 The simple step by step instructions for this Thanksgiving crafts activity follow. 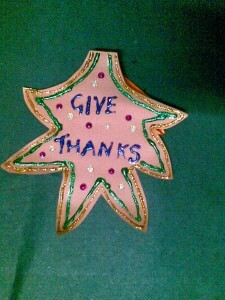 Write the words ” Give Thanks ” with pencil and go over it with glitter glue. 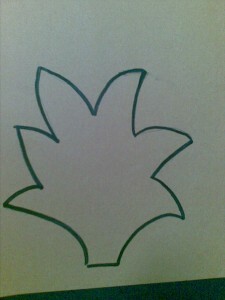 Your fall leaf decoration is ready. Hang it on a wall for everyone to admire!! what an art! such a wonderful way of celebrating thanksgiving day.I believe in todays world kids should get a platform through which they can showcase their talent and chidren.co.in is being specifically design to educate kids which would make them more knowledgeable.